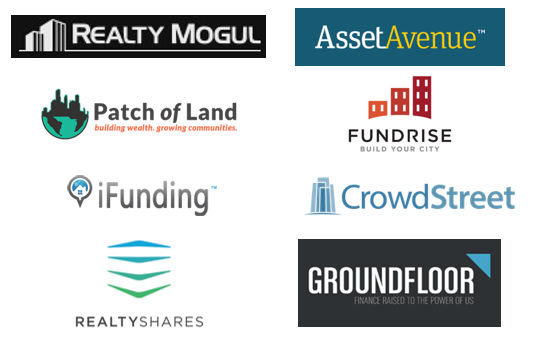 Real Estate Crowdfunding: Is it a Snazzy New Type of Syndication or Something More? The JOBS Act, which was intended to stimulate the economy after the Great Recession, included a provision to make “general solicitation” of certain securities offerings legal for the first time in decades. In the past, advertising private securities for sale -- also known as raising capital for a particular investment from individuals, or syndication -- would have resulted in harsh fines or even criminal liability for real estate developers aiming to raise capital. Syndicators had to have a personal relationship with investors, and had to establish their qualifications as an “Accredited Investor” before mentioning any specifics about the offering. Today, general solicitations are legal, so long as syndicators register appropriately with the SEC and follow other SEC guidelines. Investors are desperate for investment options that provide income. The Fed’s low interest rate policy has robbed investors of the income they need for retirement - as the yield on bonds and other income investments has dropped in step with the Federal Funds rate. Once seen as a haven for yield-hungry investors, public REITs now offer a miniscule yield. For example, as of early May 2014, office REIT Boston Properties (BXP) offers a 2.2% yield while apartment REIT Equity Residential (EQR) yields 3.4%. Even as real estate prices have risen, thereby compressing capitalization rates on income properties, such opportunities still offer a higher yield than many other investment alternatives. Real estate investment can also provide inflation protection and specific tax advantages. Just as Amazon changed the market for consumer goods, today’s crowdfunding sites hope to shake up the world formerly known as “country club money” - where developers and sponsors raise money for investments. Companies such as LendingClub and Prosper have pioneered peer-to-peer lending with generally good results to date. Bringing the same approach to real estate investment and finance is seen as the next logical step by many entrepreneurs and their venture capital backers. We can expect to see the winners among the current crop of real estate crowdfunding startups continually improve their websites and platforms over time. It is hard to predict exactly how, but Internet companies’ rapid product upgrade tempo will ensure that these sites become more valuable to the user over time - probably offering a wider range of investment types and more flexibility in terms of how investors can fund and monitor their investments. Borrowers prize private lenders who: (1) bother to get to know them personally, understand their business, and treat them like important clients - rather than squeezing them for every last dollar they can on each transaction; (2) are quick to underwrite and commit to making loans; and (3) who give them certainty of funding (since the borrower is usually counting on the lender to fund by a certain date, and the borrower will likely lose a lucrative deal if the lender is delayed in any way). It is difficult for a website to provide all of the above “warm and fuzzy” characteristics that borrowers crave. For more information on how crowdfunding has begun to infiltrate the real estate market, visit: http://www.forbes.com/sites/groupthink/2013/04/19/crowdfundings-latest-invasion-real-estate/. If you’re thinking of engaging in crowdfunding to help you build your real estate portfolio, and are looking for additional insights into the various risks and rewards that are inherent to this method, visit: http://www.marketwatch.com/story/how-to-use-crowdfunding-to-invest-in-real-estate-2014-02-07. The Top Three crowdfunding sites provide savvy investors with another means to diversify portfolios and gain entry into markets that may have otherwise been off limits. Read about these three sites here: http://www.biggerpockets.com/renewsblog/2013/11/20/3-things-need-know-crowdfunding-real-estate-investments/.